There are more than the San Gabriel Mountains views and a luxury apartment waiting for you at Village Oaks. Our Chino Hills apartment community is equipped with an exquisite collection of in-home features and amenities. From the newly renovated interiors of our one and two bedroom floor plans to our state-of-the-art fitness center with cardio equipment, free weights, and flat screen televisions, we’ve anticipated your needs to provide an inclusive apartment experience. Let us cater to you with the following outstanding amenities. At Village Oaks, our outdoor amenities are designed for those who crave fresh air and sunshine. 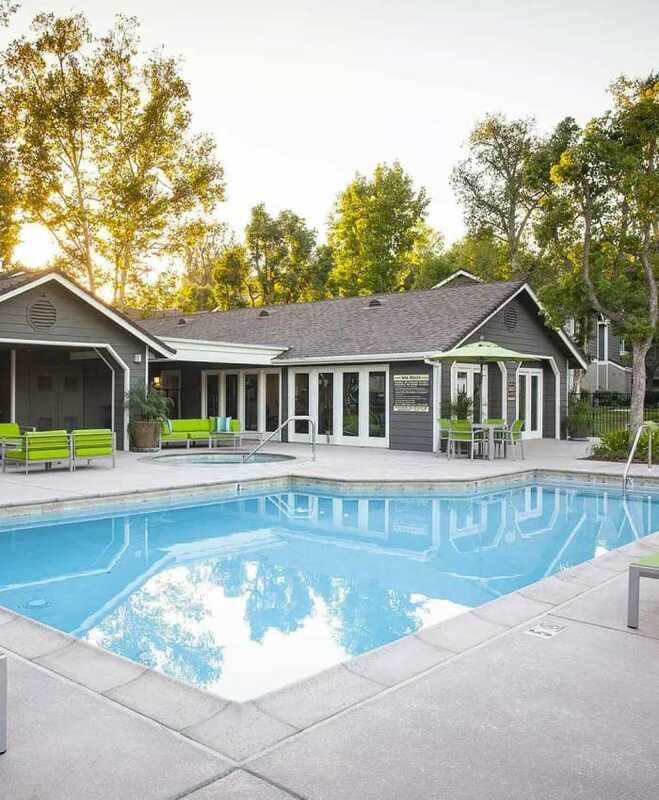 Cool off from the hot Southern California sunshine with a trip to one of our two sparkling resort-style swimming pools or host a friendly barbeque in the community picnic area. If you have a dog, take him or her to the on-site dog park for a game of fetch and some much needed time off leash. For more information on our stunning Chino Hills, California, apartment amenities, contact the Village Oaks leasing office. Give us a call today.